E-mail I received from St. Benedict Press: “Dear Steve: “As you know, questions regarding the process, history and meaning of papal resignations are of burning interest to Catholics right now. Popular author Thomas Craughwell addresses these questions in Popes Who Resigned, a fascinating new ebook from TAN. Your readers might also enjoy our short (under 3 minute) trailer for the book, found here. 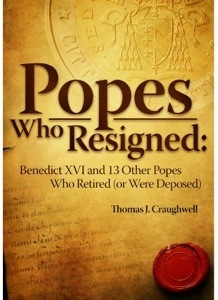 Thank you for your hard work and for letting your readers know of Thomas Craughwell’s Popes Who Resigned, new from TAN. Feel free to contact me with any questions you may have. 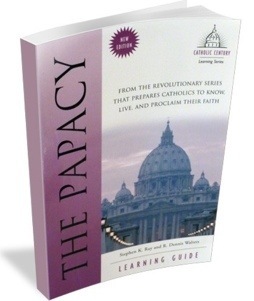 Check out my book The Papacy an overview of the Papacy: it’s history, biblical foundations, election process, best and worst popes, and much more. Can You Wager or Bet on the Conclave? According to the (Old) Catholic Encyclopedia , in his bullum Cogit nos (21 March 1591), Pope Gregory XIV forbade under pain of excommunication all bets concerning the election of a pope, the duration of a pontificate, or the creation of new cardinals. Some folks are asking, is this still the law? Gregory’s norm was a penal provision of an older system of canon law known as the Ius Decretalium. Now, according to Canon 6, 5º of the Pio-Benedictine Code of Canon Law, Cogit would have been abrogated on May 19, 1918. 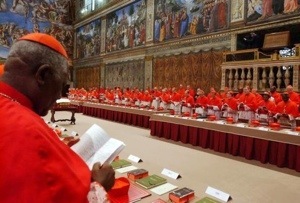 There is presently no canon law on conclave wagers. Catholics should, of course, be mindful of the balanced view of gambling shown by the Catechism of the Catholic Church (CCC 2413) and avoid conduct contrary to it.